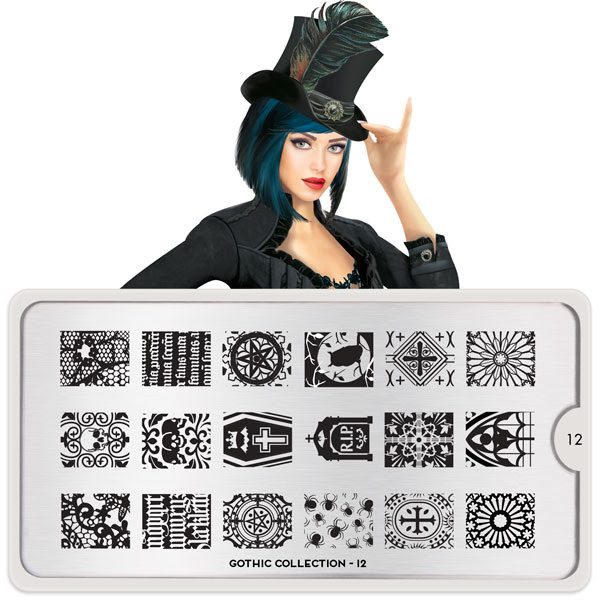 Lacquer Lockdown: Hot Off The Stamping Press: MoYou London Gothic Collection Expansion! 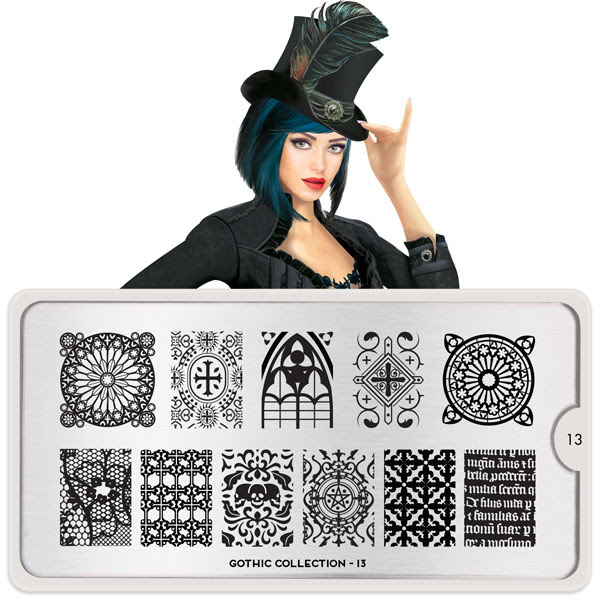 Hot Off The Stamping Press: MoYou London Gothic Collection Expansion! Yup pushing out these posts like a late paying renter ;) Welcome back to the MoYou London release party this time I've got the plates from the Gothic Collection and with this post I have now covered all the plates that MYL has put out the last couple of weeks. I will note I do not ever post their releases of foot and hand tattoos because they seem a bit....well never mind suffice to say this is all the plates for now. I honestly believe MYL's Gothic Collection is another moniker for their Halloween Collection. I don't know why they don't just push all their Halloween plates under this collection and leave the festive collection to other holidays. I mean its so obvious when you look at the type of images and timing of the releases. In any case this plate is gorgeous truly and very refreshing. I like the mini cathedral windows they snuck in there and the tiny triple skull. I need that owl and moon image!